This hotel is located in the Ronda district, just a 10 minute walk from the Plaza Bib-Rambla. 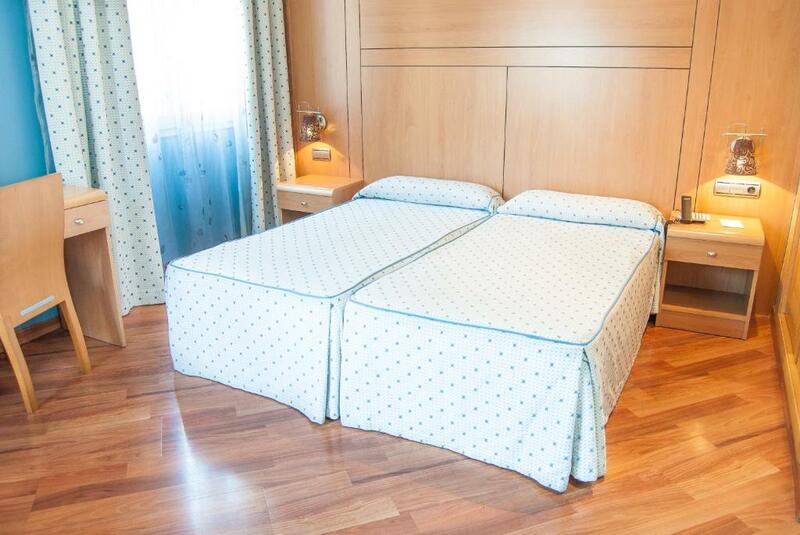 Facilities at the Reino de Granada Hotel include meeting rooms, a 24 hour reception and air conditioning. Wireless internet is provided at the hotel, ensuring you'll have no problems staying connected during your trip. Travel arrangements can be made at the hotel's tour desk. All of the comfortable rooms at the Reino de Granada Hotel are equipped with a TV, a mini bar and a hair dryer. The Reino de Granada Hotel provides a convenient on-site café. Alternatively, there are a choice of other eating options within a short walk of the hotel. Located close to a range of popular hot spots, the hotel is near many bars, nightclubs and fashionable restaurants. For those with a car, parking is available at the hotel. This hotel is 1878 metres from the Alhambra entrance, 1033 metres from Plaza Nueva (the absolute centre of Granada), 1649 metres from the train station and 3320 metres from the bus station.